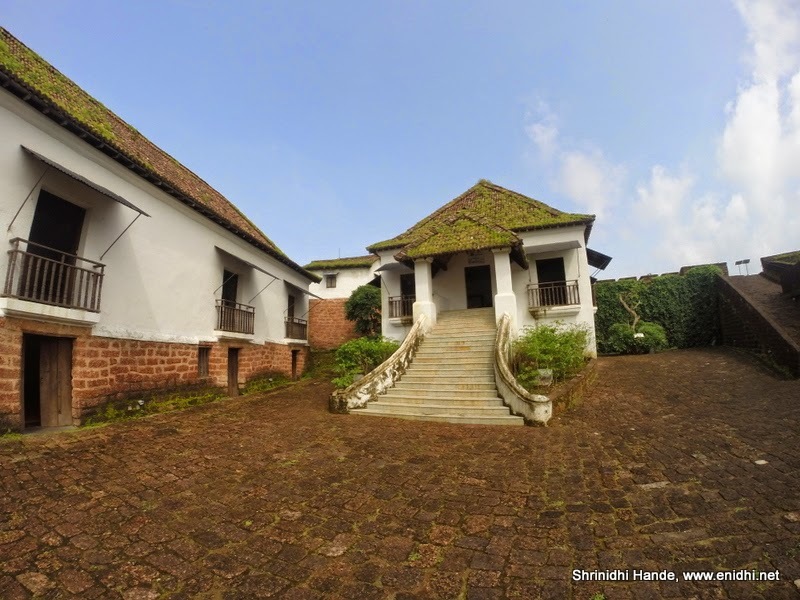 Reis Magos is a nice fort in Goa but is less visited compared to Aguda fort. 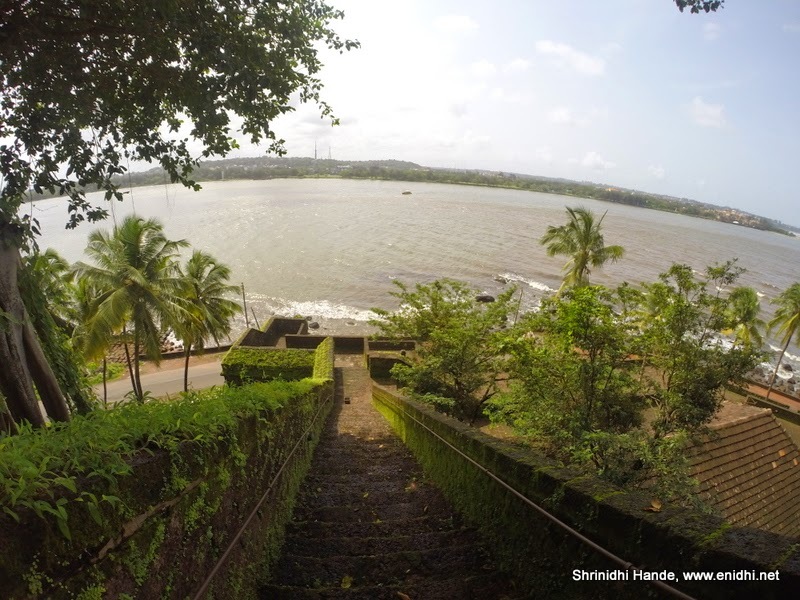 Below are some photos of the fort I had clicked during our August 2014 Goa trip. Top deck has a few cannons, nice view of the ocean and an art gallery. Refreshments are available for purchase here. Basement also has an art gallery- basically bunkers or storage facilities converted into exhibition places. 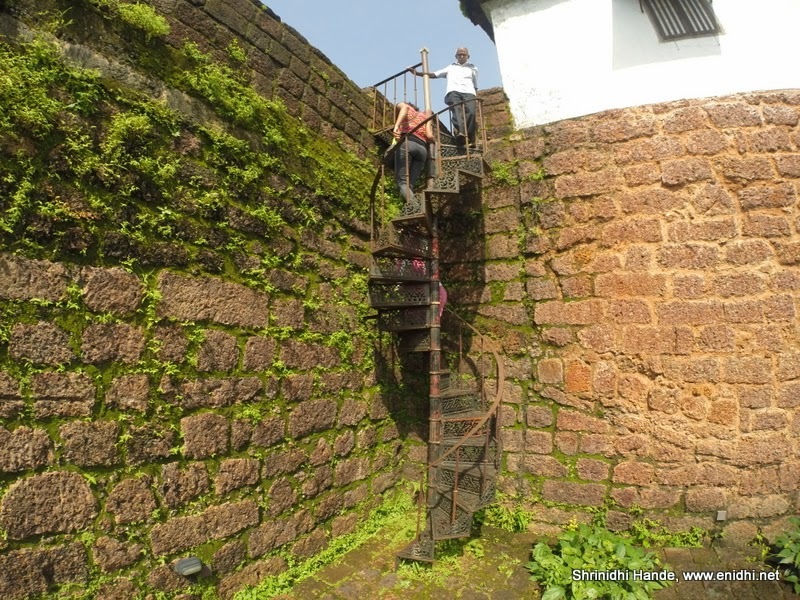 Reis Magos is older than Aguda fort and was also used as prison…Cells with ocean view! Lots of artwork, maps and other exhibits can be seen at the basement level. Wikipedia has more details. 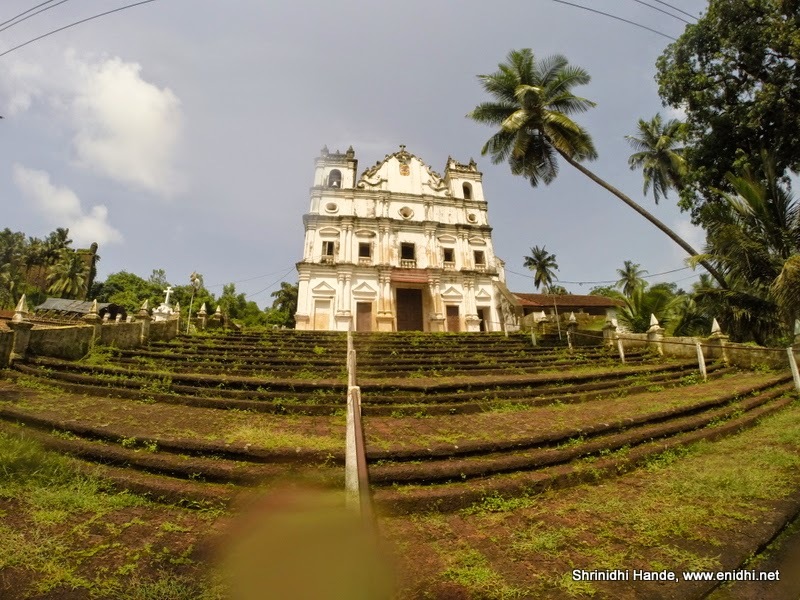 So don’t skip this fort on your Goa tour. 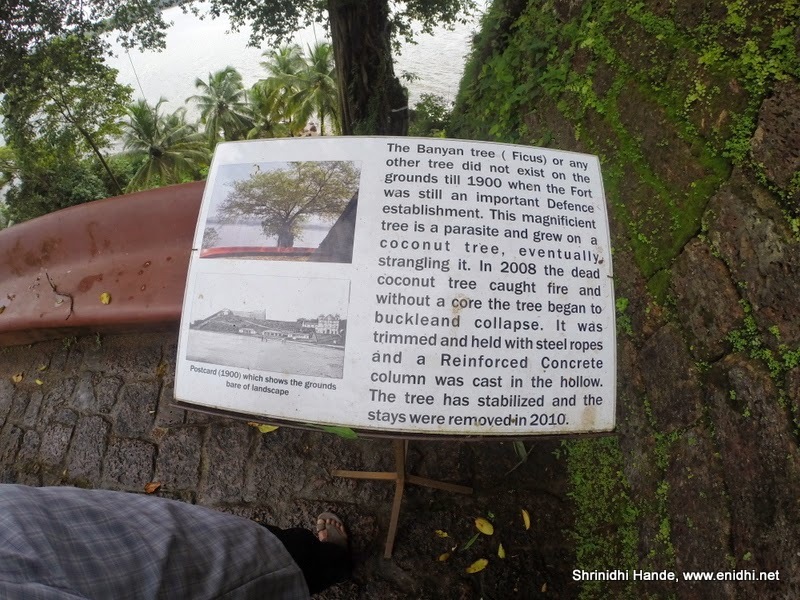 Lovely post on Reis Magos fort. 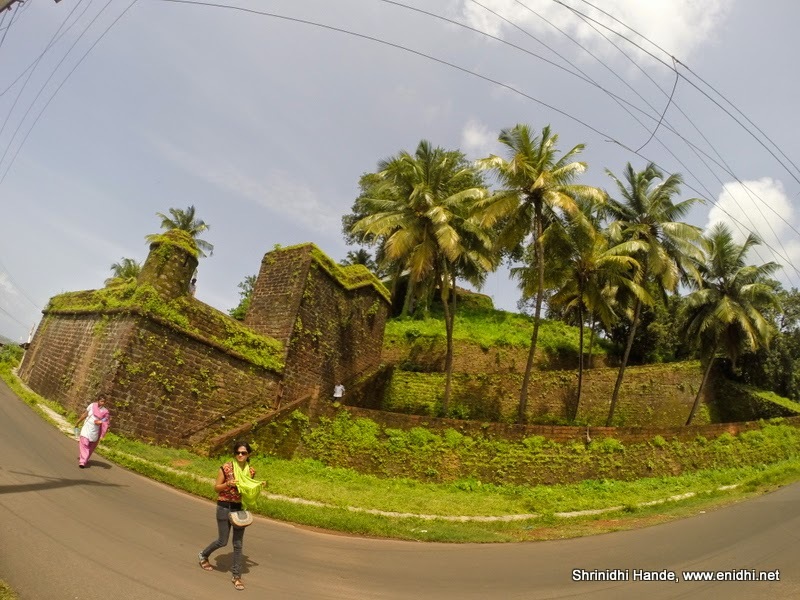 Loved the moss laden fort walls. Never knew about this fort before. 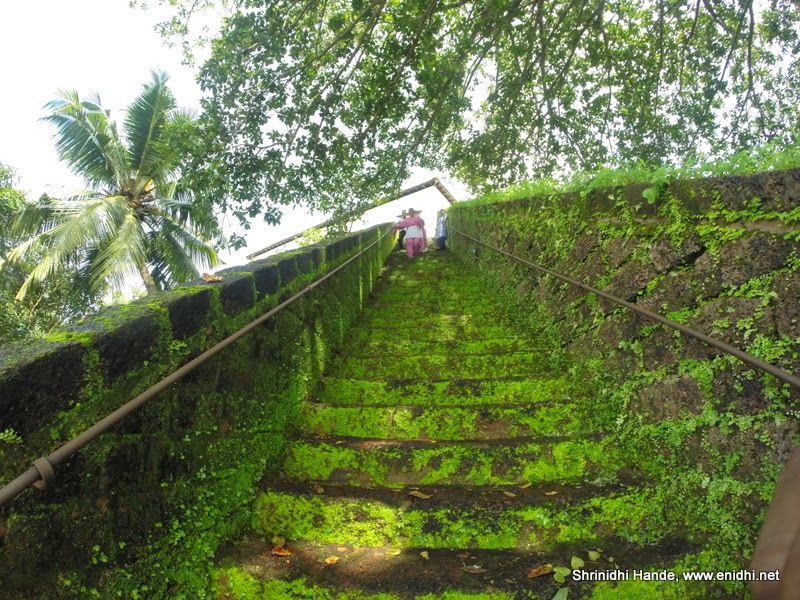 The green growth on the steps, pathways, etc. 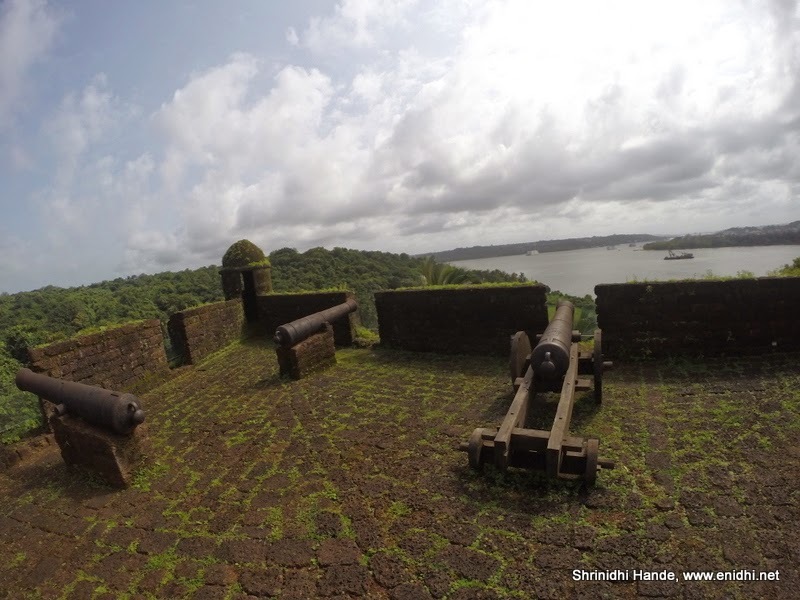 add splendor to the fort. Lovely pics.